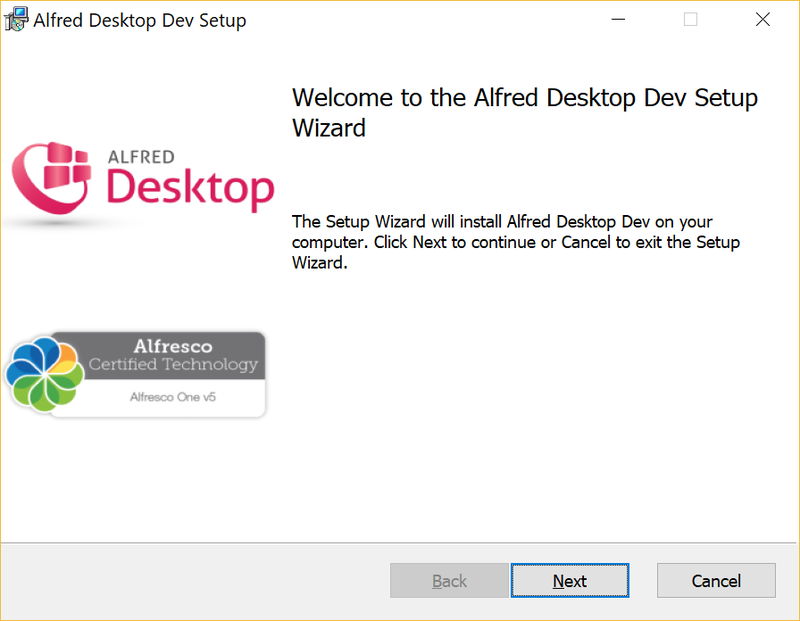 Contact your system administrator for more information about the location of the Alfred Desktop set-up file. 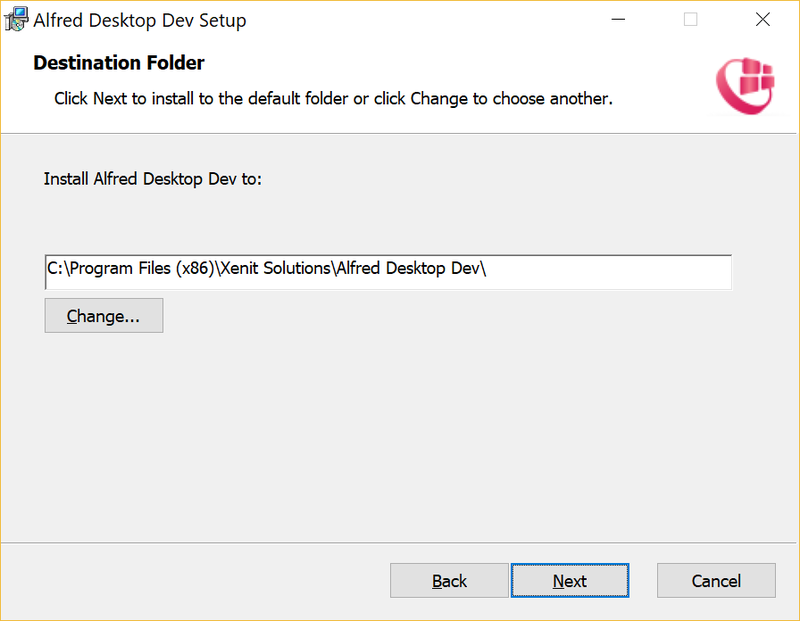 Download the set-up file to your local disk. 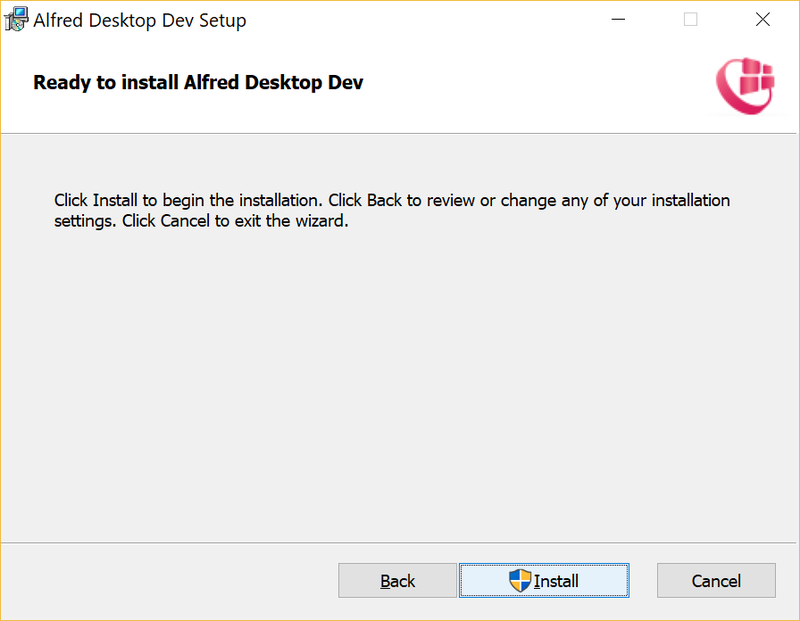 Open the folder from the alfred-desktop-trial-setup.exe file download location and double click on it. If you do not want to use the standard setting, browse to the folder in which you wish to install the Alfred Desktop application. The application is now being installed. 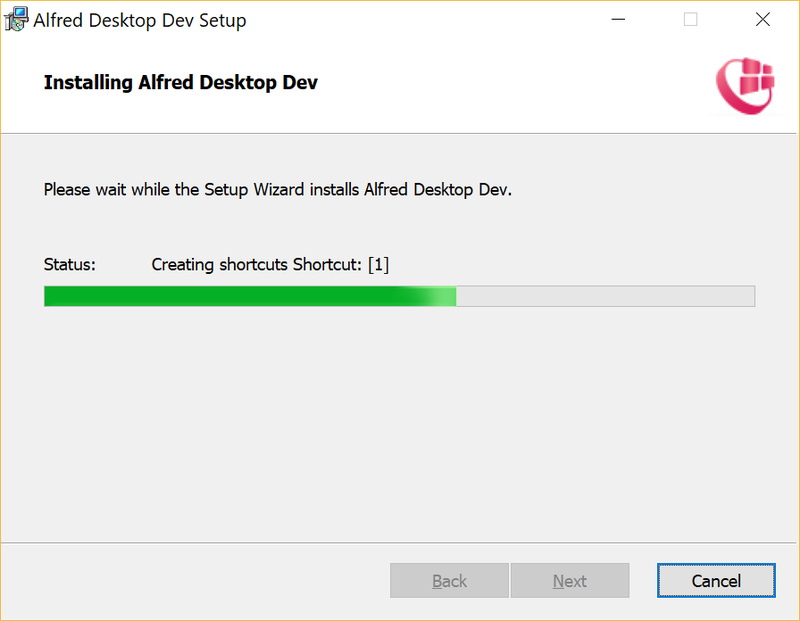 Alfred Desktop has been installed. Click on “Finish” to complete the installation process.